Looking for a requirements management tool? Visure Requirements is an easy and comprehensive Requirements Management tool. It integrates in the same environment support for other processes such as risk management, test management and issue and defect tracking. What are you looking for in a Requirements Management Tool? 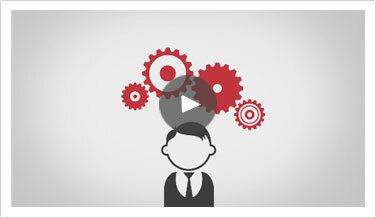 Visure Requirements supports manual and automatic input of Requirements, Services/Solutions and Test Cases. This manual capture is intuitive and allows to define different requirements types such us functional, non-functional... The automatic capture of requirements, services and test cases from external documents is also supported. Requirements come from MS Word, MS Excel or XRI. Our tool will help you to manage changes in the different phases of the lifecycle. Additionally, you will be able to performance change impact analysis and prioritize changes. Apart from this, our visual role-based workflows will allow you to align the processes and the tools, enforcing the elements lifecycle. With our platform you will be able to manage the traceability of all the artifacts. You will become able to follow the life of a requirement through its development and specification, to its subsequent deployment and use, and through periods of ongoing refinement and iteration in any of these phases. According to the Standish Group's Chaos Report more than 20 project failures are due to ineffective Testing. Visure Requirements links specific tests with the requirements they validate. It then manages the relationships, identifying which requirements have and have not been tested and pinpointing those tests that need to be re-run due to changes in the requirements. This automates the manual process, saving time, increasing software quality, and providing the transparency required to obtain certification. Visure Requirements have full ability to share a requirement across projects. Visure Requirements provides reusability support, in which the users can develop a catalogue of components which may be reused to create or update variants. This is a critical capability that accelerates time to market and cuts development costs. Our software will allow you to generate reports that may include all the information in the Visure Requirements database in almost any required format (PDF, MS Excel, MS Word, HTML reports). Share all your information including glossary of terms, requirements, use cases, test scenarios, traceability between them, UML and functional diagrams, overall status and any other information from the projects. 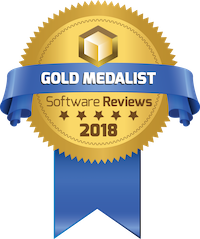 Software Reviews, a division of world-class research and advisory firm Info-Tech Research Group Inc., published its 2018 Application Lifecycle Management Data Quadrant Awards naming three Gold Medalists in the space: Visure Solutions, ALM Works, Microsoft Team Foundation Server. Unlike traditional software awards, Data Quadrant Awards are based solely on user reviews and determined by a transparent proprietary methodology that is available in full in Software Reviews’ 2018 Application Lifecycle Management Software Report. "Visure Requirements removes the administrative overhead of keeping multiple Word/Excel documents up to date, while maintaining a flexible approach which fits with our existing ISO processes"